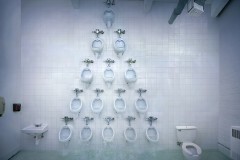 American Standard is an installation that featured fifteen functional urinals arranged in a pyramid formation on the wall of the men’s washroom in the Alexander Centre studio at Simon Fraser University. 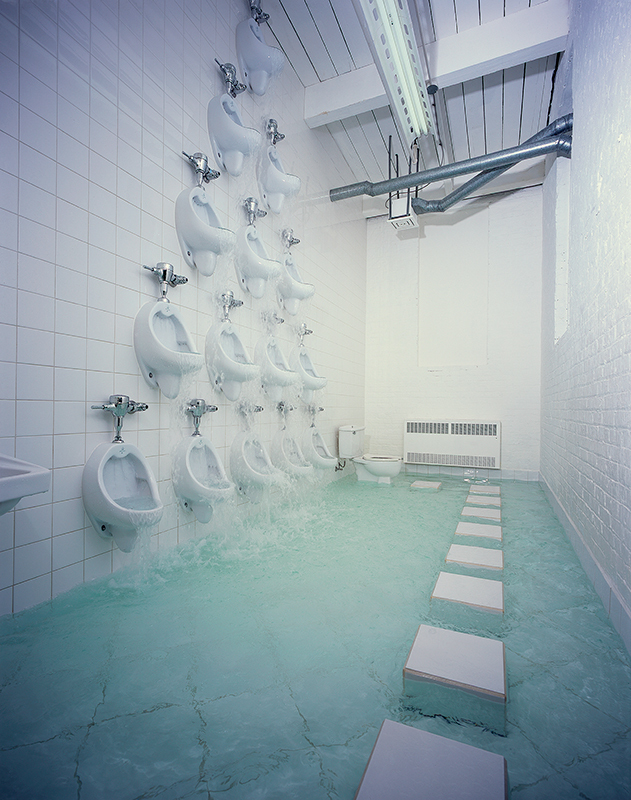 Transforming the facility into a public indoor fountain, water overflowed from the uppermost urinal and splashed its way down through the formation creating a deluge of water flooding the sunken floor. 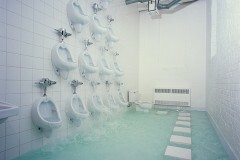 Visitors enter the space via tiled stepping stones, providing access directly to the sink and preexisting toilet, leaving the facility fully functional and open to both sexes. 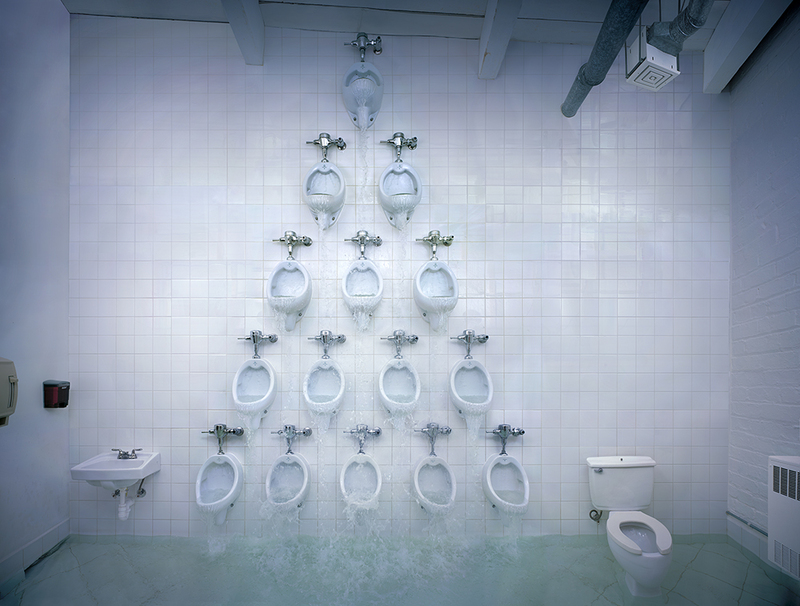 American Standard draws upon the ‘readymade’ and confronts its art-historical underpinnings (recalling Marcel Duchamp’s iconic Fountain), while imparting more than pure reference, as it extends beyond the object-oriented readymade into an architectural space. Rather than demonstrating how context produces meaning within objects, American Standard presents an environment in which objects re-contextualize their space, revealing architecture’s dependence on standardized form and socially assumed function within even the most private of public spaces.